Today there are more third-part relationships than ever before due to outsourcing, allowing more growth than if companies attempted to keep everything in-house. But as the number of supplier relationships grows, risk increases exponentially. 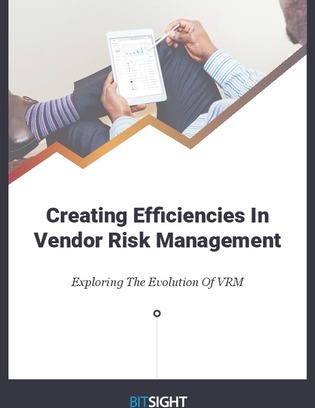 Access this white paper now to explore how vendor risk management has traditionally been handled, why traditional strategies alone are inadequate, and 3 ways to make vendor risk management more efficient.